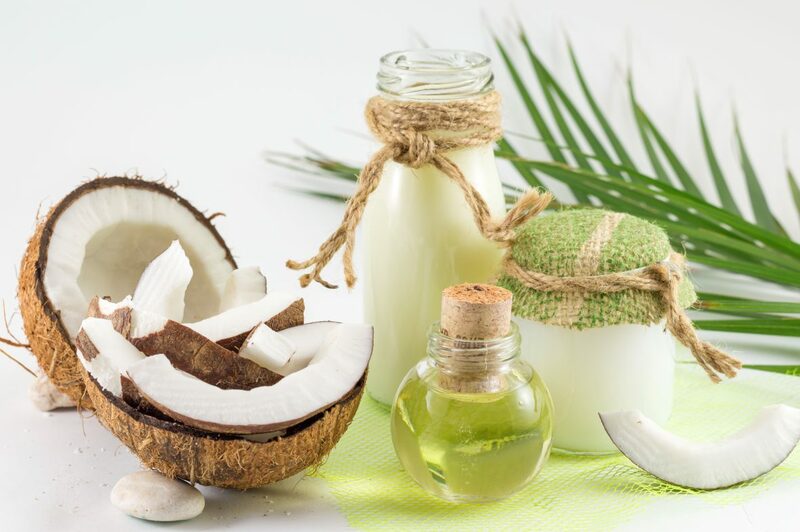 Caprylic acid, which is also known as octanoic acid, is one of the saturated fatty acids in coconut oil. This medium chain fatty acid (MCFA), which is also found in cow’s milk and human breast milk, is beneficial for treating Candida and improving general health. This powerful supplement is effective for use in conjunction with a Candida Diet cleanse for the treatment of Candida overgrowth and the symptoms associated with a yeast imbalance. Studies have shown that caprylic acid has antifungal properties and it is effective against Candida infections in humans (1). It has also been found to be useful for treating oral candidiasis (2). Caprylic acid kills Candida by destroying their cell membranes. A study done by Niigata University in Japan described the antifungal properties of this fatty acid as “exceedingly powerful”. Another report published in Acupuncture and Electrotherapeutic Research in 2011 found that it was more efficient and less expensive than antifungal medications like Fluconazole. A study found that caprylic acid was effective for treating frequent urination and incontinence caused by mixed infections of Candida (3). This effect combined with its antibacterial and antiviral properties (1) make it very useful for persons with Candida overgrowth syndrome since they are prone to developing urinary tract infections (UTIs) in the bladder and urethra. Caprylic acid is said to have anti-inflammatory properties which make it useful for managing Candida colonization since this condition is associated with a state of chronic inflammation in the body. Caprylic acid is also said to boost the immune system making it beneficial for persons with weak immune systems since they are more prone to developing Candida infections. In addition to controlling Candida, a study also found that caprylic acid was effective for treating Dermatophilus congolensis (4) which is a fungi that causes skin infections in humans, horses and cows. Caprylic acid is one of the medium chain triglycerides (MCTs) used by persons with Crohn’s disease (5). These MCTs are able to reduce inflammation in the intestines and relieve abdominal pain, bloating, bleeding and other symptoms of Crohn’s. Caprylic acid has been found to be effective for treating intractable medical conditions caused by bacteria like Helicobacter pylori, viruses like cytomegalovirus and toxins like mercury and asbestos (3). These infections include chronic upper respiratory tract infections, ALS and root canal infections. Caprylic acid can be purchased in liquid form or as gel capsules. The liquid formula is immediately metabolized by the liver after consumption and it therefore exerts little of its antifungal properties. The gel formulation is the better option since it slows the release of the fatty acid and enables it to reach the intestines and destroy the Candida residing there. The suggested dose for chronic candidiasis is 500 to 1000 mg three times a day (1). For best results it should be consumed with meals and preferably in conjunction with a Candida Diet cleanse. Caprylic acid consumption should be combined with that of two or three other antifungals to prevent Candida from adapting and developing resistance to it. It can therefore be used together with other antifungal supplements like grapeseed seed extract and oil of oregano. It can also be consumed together with meals flavored with herbs and spices with antifungal properties like garlic, ginger, cinnamon, cloves and cayenne pepper. When treating urinary tract infections, it is has been shown to give the best results when it is used together with omega 3 fatty acids. Caprylic acid can also be obtained by consuming virgin coconut oil. This is an effective method since coconut oil also contains other fatty acids with antifungal properties like capric acid, caproic acid and lauric acid. A good starting dose is 1 tablespoon each morning and this can be increased to 5 tablespoons each day. There are no known interactions of caprylic acid with medications, supplements or food. It is considered relatively safe and categorized as GRAS (Generally Recognized As Safe) by the FDA (Food and Drug Administration). However, caprylic acid can cause nausea and diarrhea and persons who are prone to developing upset stomachs should avoid using it. Women who are pregnant and those breastfeeding should also not take it. Children should also not be given caprylic acid supplements. Takahashi M, Inoue S, Hayama K, Ninomiya K, Abe S., Inhibition of Candida mycelia growth by a medium chain fatty acids, capric acid in vitoro and its therapeutic efficacy in murine oral candidiasis. Medical Mycology Journal 2012;53(4):255-61.